After their mother’s probable suicide, Jazz and Olivia Moon struggle to move on with their lives. Olivia, an 18-year-old who can taste words and see sounds, blinds herself by staring at the sun, then decides to walk to the remote setting of her mother's unfinished novel to resuscitate her hopes and dreams. Jazz, 22, plagued by unresolved conflict with her mother and a hidden trove of her unsent letters, takes a job in a funeral home before being forced back into the role of her sister’s keeper. The sisters’ journey through the wilds of West Virginia, disaster-prone from the start, takes a turn when they meet two train-hoppers with dangerous secrets, and Jazz learns that Olivia holds a dark secret of her own in the form of their mother's final unread letter. Mistrust, resentments and new attachments threaten to tear the two apart, until a final bizarre misadventure forces them to decide what’s really important. 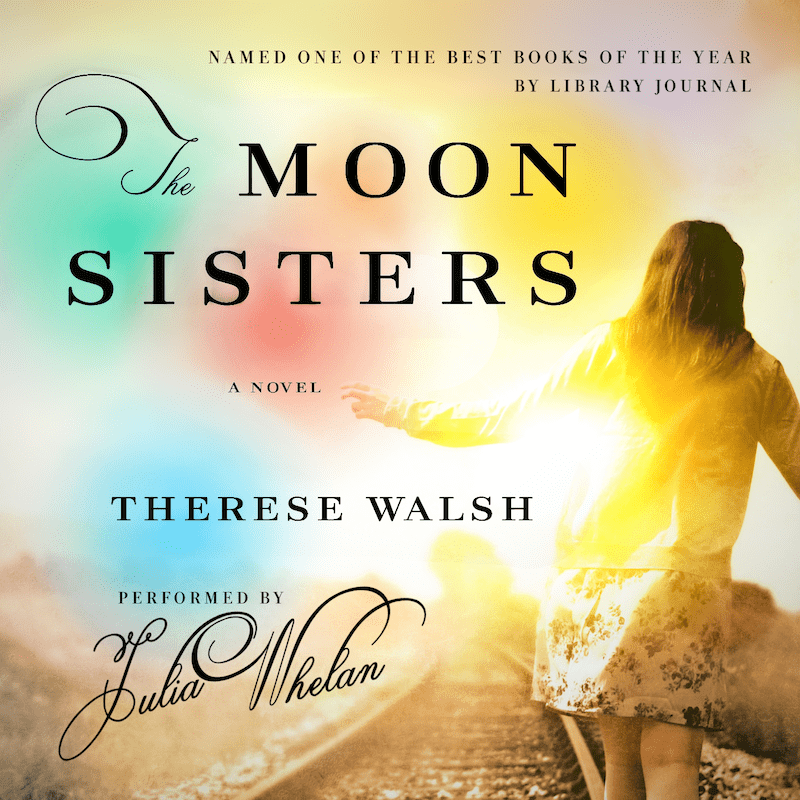 -The Moon Sisters is named one of the BEST BOOKS OF 2014 by Library Journal. -The Moon Sisters earned a STARRED review from Library Journal. -The Moon Sisters earned a STARRED review from Booklist. 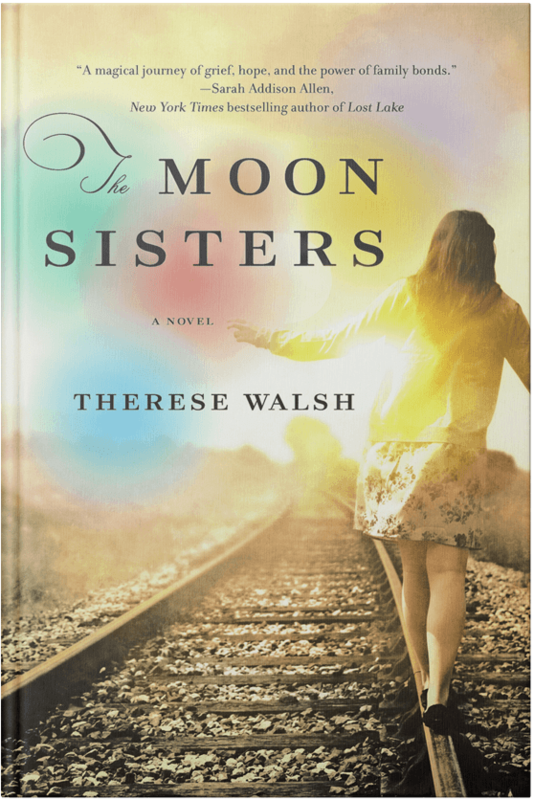 -The Moon Sisters is named one of the BEST BOOKS OF 2014 by BookRiot. -The Moon Sisters e-book reached #10 in ‘Bestselling NOOK Books’ at BarnesandNoble.com, and became a Kindle ‘#1 Best Seller’ in Amazon’s Mothers & Children fiction category. -The Moon Sisters is named one of the top five must-read books for summer by Yoga Journal. -A review for The Moon Sisters is published in The Roanoke Times. You can read the full review, which does a fine job at discussing the story’s understated philosophical underpinnings, HERE. In order to provide reading groups with the most thought-provoking questions possible, it is necessary to reveal important aspects of this book—as well as the ending. If you have not read The Moon Sisters, we respectfully suggest that you wait before viewing this guide. Are you interested in meeting with Therese? Though in-person meetings may not be feasible, Therese is happy to meet with your club virtually–either over the phone or by using a free video service like Skype. As time allows, more content will be added to this page, including trivia, information about synesthesia, and a deleted scene snippet or two. In the meanwhile, I hope you’ll enjoy these two fun offerings. Find out which of the Moon sisters you most resemble by taking our Personality Quiz just below. 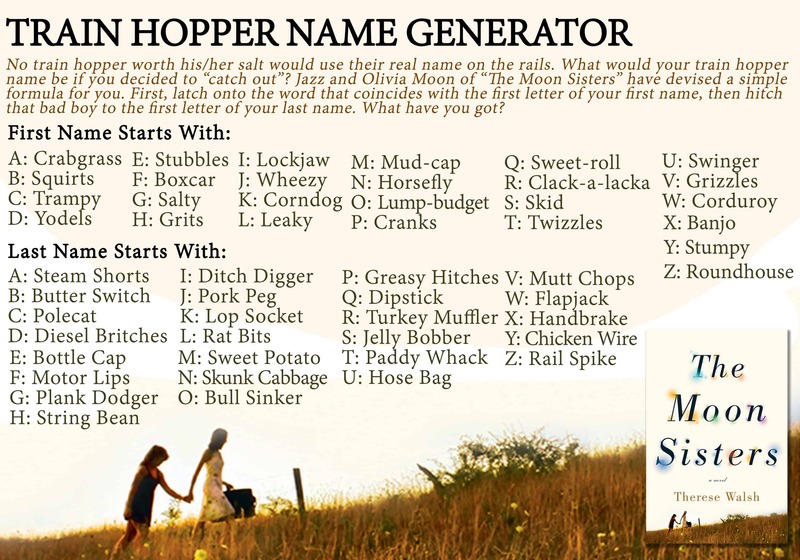 And if you’d like to know what your train name might be if you decided to become a hopper, have a look at our Name Generator. Enjoy!